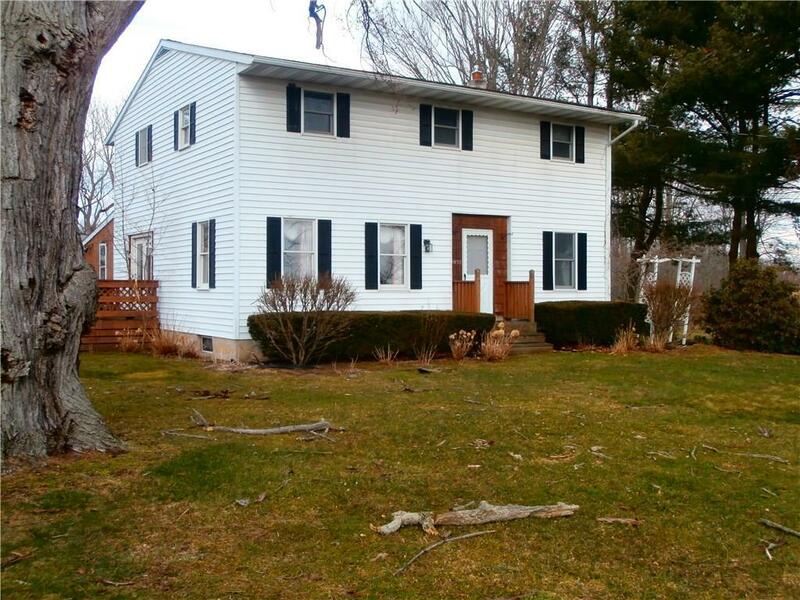 2032 Bonnell Road, Waterloo, NY.| MLS# R1109694 | Coldwell Banker Finger Lakes | 315-789-6768 | Geneva NY Homes for Sale, FINGER LAKES PROPERTIES, Seneca Lake, Cayuga Lake, All of the Finger Lakes. Bright, well maintained country home situated on 3.7 private acres w/ stocked pond (14' at its deepest), detached garage, pavilion and blacktop driveway. Home features large kitchen with breakfast bar, formal dining w/ french doors leading out to side deck, ample storage, 1st floor laundry, master bedroom with double closets, 1st floor office. Recent updates include interior paint, upstairs floor covering, shower surround, FHA furnace, roofs, water treatment center. In addition the property features a 1994 Tangle Wood manufactured home, currently rented for added income.